Ecoboost Mustang a no go? Posted this in an existing ecoboost thread, but no one picked up the headline yet. "We have to admit, when we first heard the rumors that Ford was going to produce a Mustang powered by the twin turbo EcoBoost V6 engine we were a bit skeptical. It just didn't seem to make sense. Why would Ford go to the trouble and expense of manufacturing yet another engine for the Mustang, especially one at the same price point as the current 4.6L V8? Well according to StangTV our gut feelings may have been right. A recent posting by StangTV quotes a source at Ford Motor Company saying the entire thing is a "total rumor". According to the source, Jesse Kershaw of Ford Racing Performance Parts, Ford has no cycle plan for the EcoBoost engine in the Mustang. "That doesn't mean there isn't a prototype running around but there's nothing in the plan to actually do that” says Kershaw. Now lets face it, this wouldn't be the first time a bunch of smoke and mirrors were used to throw the media off the scent trail of a bold new product. It could very well be that Ford is just trying to keep this one under wraps until the time is right. On the other hand this wouldn't be the first time Ford (or any auto manufacturer for that matter) decided against a new powerplant. In early 2005 Ford shelved it's plans to produce a 6.2L V8, dubbed the Hurricane, which was slated for the F-Series truck line but was rumored to be a Hemi killer for the Mustang. Although there is word that the Hurricane may be back under a new name the point is that engines get killed on a daily basis in the auto manufacturing world, this wouldn't be anything new. So which is it? Is the EcoBoost Mustang dead or not? I guess only time will tell. " If this is true.........dumb, dumb, dumb, and more dumb on Ford's part. 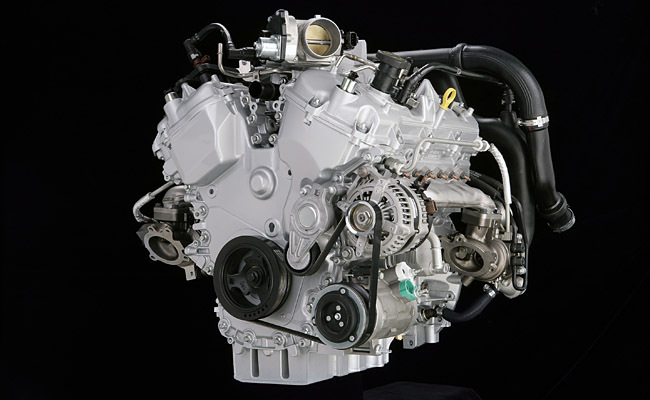 The ecoboost drivetrain in a Mustang has HUGE potential......both in sales and performance. They are gonna be manufacturing the damn motor anyways for other models...........why NOT put it in the Mustang. Makes no sense. They can put it in an F-150, or even in a Taurus (for God's sake)......but not the Stang? Someone want to explain the logic of this to me? They really had a chance to put something on the market that neither of the Detriot competitors had going for them. Something to help their product stand out. It is a good idea. I mean.......what happened to "Bold Moves"? I swear, if similar news about the new 5.0 goin into the Mustang follows, I hope their entire next generation of ponies gets squashed by the competition in the market. Last edited by ThisBlood147; 03-14-2009 at 06:35 PM. Just maybe that 5.0 L 4v engine we've seen spied will become reality. It wouldn't make much sense to have two engines so close, the V6 TT at 355 hp and the 5.0 at 350 to 400hp. My son works for Roush who does the instrumentation work for Ford for forward model vehicle development. 2011 Mustang GT will have a 5.0L 400hp motor as the standard. There is also a DI V6 with ~300hp too, although it is NOT the Ecoboost engine. The Ecoboost has been seen in F150, Flex, and Edge/MKZ, Taurus SHO vehicles. Last edited by rlh6805; 03-14-2009 at 08:26 PM. Good to hear. 400hp 5.0 and under 35K is all good for me (since that's what I'm mostly interested in). A base model in the 285-300hp range will be nice also......an unexpected surprise. I was expecting 250-270hp at most. Being close to the base Camaro's power with significantly less weight gives Ford a good leg up. But the ecoboost Mustang surely would have been a great seller....and a killer tuner product. Maybe they'll do a 2-3 year limited production run in the future to see how well it sells? To any Ford marketing guys listening out there........you'd be sitting on a hot hot product. Trust me. As much as a TT v6 would rock, the five-oh will be plenty enough to satisfy me. 2012-13 and ill be tradin in the 07! Lets not forget the MKS is getting this as an option! That's GREAT NEWS to hear, thanks for the info brother! the reason ford is not airing out that the 5.0 is coming back is because if people know that an extra 85 hp is coming a yr after they bring out a new model (2010) that no one will buy the 2010's. esp when the base price for a premium is going to be the same ($35K). and im with 0740mustang, if this happens i will be trading my 08 in on a 2012 model. i never by the first model of a new line. always wait till the second yr.
Quick Reply: Ecoboost Mustang a no go?